Dave is entering the 4th year in his role as the Director of Awards and Recognition for the NCFA. He works directly with NCFA President Sandy Sanderson to gather nominations and select the yearly NCFA All-American and Academic All-American teams. 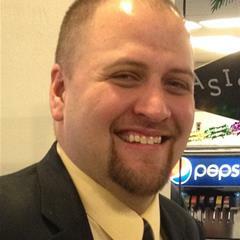 In addition he works closely with the other NCFA to select national players of the week and makes his way out to the NCFA Championship Game each year where he serves as the color commentator for the online broadcast of the game. Dave also serves as the head coach of the football program at UW-Milwaukee, an NCFA member school. He is entering his 5th year at the helm of the program at UWM, taking over a program that had won 5 games total the previous 5 years and leading then to a 22-9 record over his first 4 years. previous to coming to UWM Coach Mogensen had stints at as the Head Coach at Shorewood (WI) High School (2010-2011) and served as a HS offensive coordinator at three different schools from 2003-2009. He also spent 3 years as an arena football coach. 1 year with the Milwaukee Bonecrushers as the offensive coordinator where he took over for Green Bay Packer Hall of Famer Gilbert Brown and his staff. Coach Mogensen came on mid-season to an winless Bonecrusher team, leading them to respectability and their first ever franchise win. Mogensen then spent two seasons with the expansion Wisconsin Wolfpack as the Assistant Head Coach and Offensive Coordinator. Coach Mogensen led the Wolfpack to back to back playoff appearances including a 2010 trip to the league championship game where they narrowly lost to the Cincinnati Commando's. Dave was a decorated player as a QB/LB at Elkhorn (WI) Area High School serving as a two year team captain for back to back conference championship teams and earning numerous post season accolades including being named team MVP and to numerous All-Conference and All-Area teams. Mogensen also lettered in basketball, baseball and with the marching band while at Elkhorn. Dave spurned division 2 interest to be a part of the first ever team at D3 Wisconsin Lutheran College where he stepped in and started as a true freshman at inside linebacker. The injury bug hit Mogensen again while at WLC and he "retired" from playing after the 2000 season. Coach Mogensen spent the 2001 season away from the game before starting his coaching career at East Troy High School in 2002. He is currently employed as the North Campus Residential Dining Manager at UW-Milwaukee, a position he has held since August of 2013. He Oversees 4 units that serve over 3500 students daily. Previous to coming to UWM full-time he spent 5 years as the administrator of student discipline at Whitefish Bay (WI) High School. Dave lives in Delavan, WI with his wife of 7 years Diana and his two young sons Clay, 6, and Landon, 4.